Julia Christie | Artist on Skye hosting painting holidays from her studio. 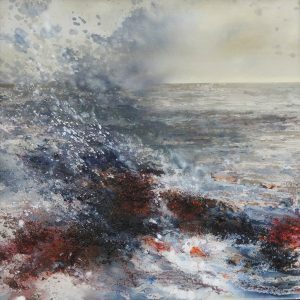 Julia draws her inspiration from the dramatic landscape of The Isle of Skye where she now lives. Capturing the mood, essence, and atmosphere of the ever changing ‘elusive Skye light’. The powerful forces of nature; sea, air and light, is what excites and challenges her painting. At the start of her career Julia trained as an illustrator and obtained a first class honours degree. She has illustrated numerous books and publications, including Alice in Wonderland for Octopus Books and Beauty & the Beast for Frederick Warne. 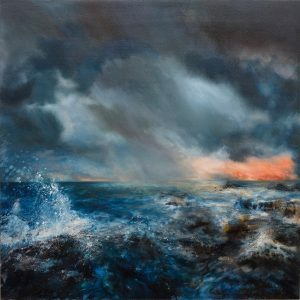 She currently exhibits her paintings regularly at the Gallery An Talla Dearg, Isle Ornsay, Isle of Skye and Resipole Studios Fine Art Gallery, Acharacle. Her work is also on permanent display in the gallery/studio at her home in Ardvasar, on the Southern Peninsula of Skye. Commissions are welcomed. If you are interested in buying a painting or print, please get in touch for more information. Julia has been teaching art to various groups and individuals for over 3 decades. 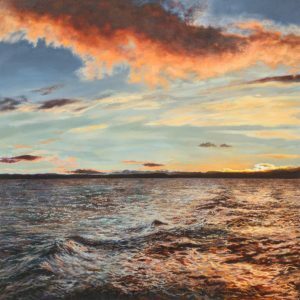 Offering a selection of residential painting retreats from her home and studio on Skye where you can relax, unwind and discover the artist within. Set in a stunning location with breathtaking panoramic sea and mountain views from the house and studio, the bespoke courses cater for all ages and abilities. Numbers are limited so you will have plenty of expert individual tuition. Non-painting partners welcome. Come and share her passion and love of this beautiful island. See dates – KnoydART Skye Retreat.